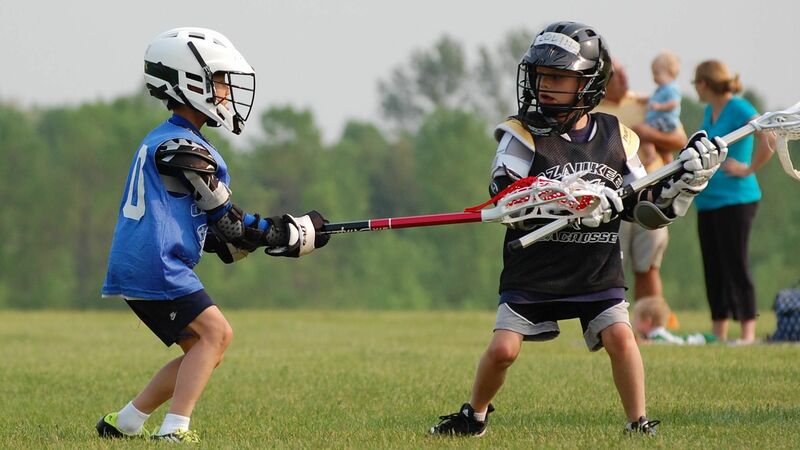 Lacrosse is a fast-paced and fun-to-play sport that features contact, athletic goals, and the occasional fight. You probably already knew that lacrosse, along with ice hockey, is the national sport of Canada, but here are some interesting facts that you likely weren’t aware of! Lacrosse is the oldest team sport played in North America – it actually dates back to Native American tradition. The sport was originally used to keep men in peak physical shape and ready for war – no wonder lacrosse can get so intense! Since 2003 participation has grown by over 40%, making it the fastest growing team sport in America. The most common injuries in lacrosse are sprains, strains (lower extremity) and concussions. Over the coming weeks we will profile these different injuries and provide some suggestions for ways to avoid them. A muscle strain is damage to muscle fibers and usually occurs when the athlete contracts the muscle strongly, moves it outside of its normal range of motion ( ROM), or both at the same time. They are often referred to as muscle pulls or tears. We “grade” strains in order to describe their severity – with grade 1 as the least severe (minor) and grade 3 being the worst possible (think full tear). Some of the most common strains we see in Lacrosse are those to the groin and hip-flexors. Many athletes spend a lot of time working on strength and power and unfortunately ignore the importance of flexibility. You may be wondering… what’s the best way to avoid these injuries? Here’s an easy way to remember it: Stop Strains by Strengthening and Stretching. A study by Tyler et al. (2001) showed that athletes with stronger adductors (groin muscles) were less likely to suffer a groin or hip-flexor strain! The world's greatest stretch is perfect for warming up the body before exercise. You can decide whether or not it's aptly named after you give it a try. Check back next week for part 2: concussions in lacrosse. McCulloch, P., & Bach, B. (2007). Injuries in men’s lacrosse. Sports Medicine Update, 30(1), 29-34. Tyler, T., Nicholas, S., Campbell, R., & McHugh, M. (2001). The association of hip strength and flexibility with the incidence of adductor muscle strains in professional ice hockey players. The American Journal of Sports Medicine, 29(2), 124-128.